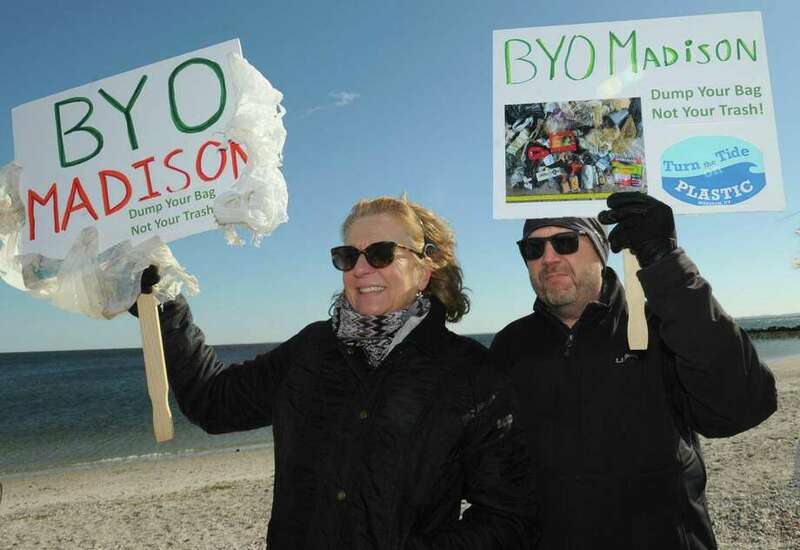 Kellie Brady and her husband, Francis Brady, of Madison listen to state Sen. Will Haskel and state Rep. Jonathan Steinberg tout a bill that would ban single-use plastic bags Feb. 9 at Compo Beach in Westport. Norwalk’s ban is scheduled to begin this summer, while Stamford’s is slated to start in May. Bans in Hamden, Mansfield, New Britain and New Canaan should all be in effect by late August or early September. Does your town have a plastic bag ban?